This is a a comment made by a team member of Rare Genomics Institute, Divya, on a thread in RareConnect on August 12th, but I was not able to reply until now. To find the original comment, you first need to go to the Trimethylaminuria (TMAU) Community site, and then go to the post "Just A Guy who suffers from TMAU." My reply to Divya’s original post follows her comment below. My name is Divya, and I am part of a team currently participating in an internship with the Rare Genomics Institute. The Rare Genomics Institute is a not-for-profit organization that supports families who are affected by rare diseases. As the majority of rare diseases are genetic in nature, the Rare Genomics Institute uses donations and grants to give patients access to cutting-edge technologies and leading medical experts by funding full genome sequencing for patients. By analyzing the results, experts hope to find the cause of the disorder. From there, treatments and therapies are developed in an attempt to cure the disease. 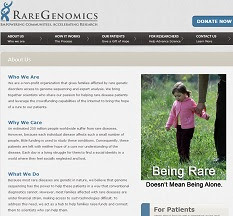 To learn more about the Rare Genomics Institute and read some of their patients’ stories, please visit: http://www.raregenomics.org/. As a part of our internship, we would like to interview individuals affected by a rare disease (patients, family members, etc.). The purpose of the interview will be to discuss the impact of rare diseases and the difficulties of coping with them. This will help the Rare Genomics Institute better understand patients’ struggles and allow them to determine how best to care for their patients. If you, or any other individual diagnosed with this disease would like to share your story with us in an interview- please do not hesitate to contact us at rgi.internship@gmail.com. Thank you for writing about Rare Genomics Institute and inviting us to tell our story. 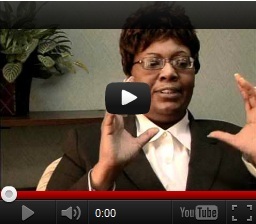 I would love to do all possible to assist your internship program to interview individuals affected by a rare disease. I wonder whether you mean that you are looking for someone already diagnosed with the genetic type of TMAU or someone with life-disruptive odor symptoms for whom no test has yet identified the cause and no diagnosis has been given. Some of the MEBO Directors and I have had the privilege of meeting Dr. Jimmy Lin, MD, Founder of Rare Genomics Institute, on a conference call. Dr. Lin is also a member of the MEBO Institutional Review Board (IRB). He is indeed inspirational, and MEBO would do all possible to assist Rare Genomics in whichever way we can. 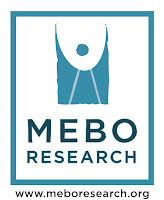 Please don't hesitate to contact me at maria.delatorre@meboresearch.org.